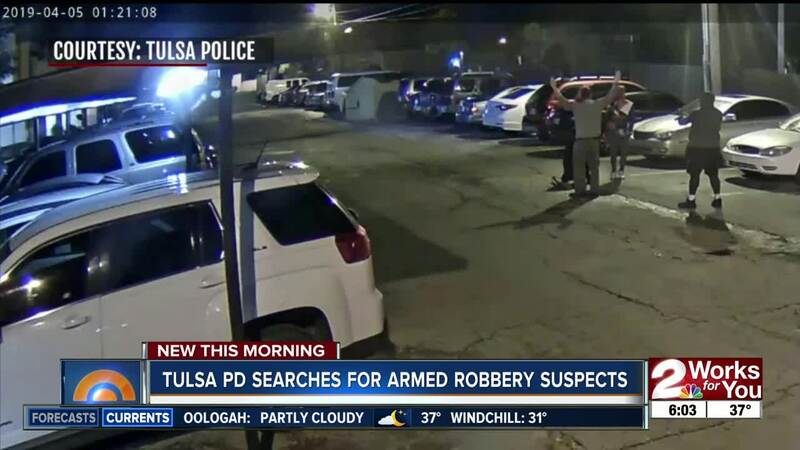 TULSA — Tulsa police need your help tracking down two armed robbery suspects. Surveillance video from last Friday shows two suspects robbing two victims at the West Minister Apartments near 51st and Memorial. The victims were getting out of a car when they were approached by two hooded men, police said. The suspects then forced the victims to the ground at gunpoint before robbing them and taking off in a white Chevy Malibu with a paper tag. If you have any information about this crime, you are asked to contact Crime Stoppers 918-596-2677.